Blake Electrical are based by the Trafford Centre, and cover the areas of Greater Manchester, including Wigan, Leigh and Widnes to the west, and into Cheshire, including Stockport, Wilmslow and Altrincham to the south, and Bolton to the north. We operate using a network of mobile electricians, all fully qualified and conforming to the regulatory requirements of the industry and professional bodies. This network approach enables us to respond to nearly all emergency callouts within 30-60 minutes **. 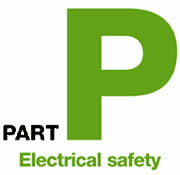 We can offer a free, no-obligation estimate for all domestic and commercial electrical jobs. City Centre, Hulme, Trafford Park, Old Trafford, Chorlton, Whalley Range, Fallowfield, Withington, Didsbury, Levenshulme, Prestwich, Salford, Swinton,Worsley, Walkden, Irlam, Eccles, Stretford, Urmston, Flixton, Sale, Wythenshawe, Denton, Droylsden, Gorton & all surrounding areas. City Centre, Reddish, Heaton Mersey, Heaton Moor, Heald Green,Bredbury, Cheadle, Bramhall, Marple, Romiley, Poynton, Hazel Grove, Wilmslow, Altrincham, Hale, Bowdon, Alderley Edge, Knutsford, Hyde, Glossop and all surrounding areas. City Centre, Horwich, Belmont, Egerton, Farnworth, Westhoughton, Atherton, Leigh, Golbourne, Ashton-in-Makerfied, Billinge, Orrell, Standish, Blackrod and all surrounding areas.